Clean and ironed clothes is a sign of neatness and tidiness of the person. It would seem that there is nothing difficult to Pat any thing with an iron, but actually in the process of wrinkles on things there are a lot of intricacies – especially when it comes to complex styles, fabrics, requires careful maintenance, knitted things, dresses, business suits, and so on. 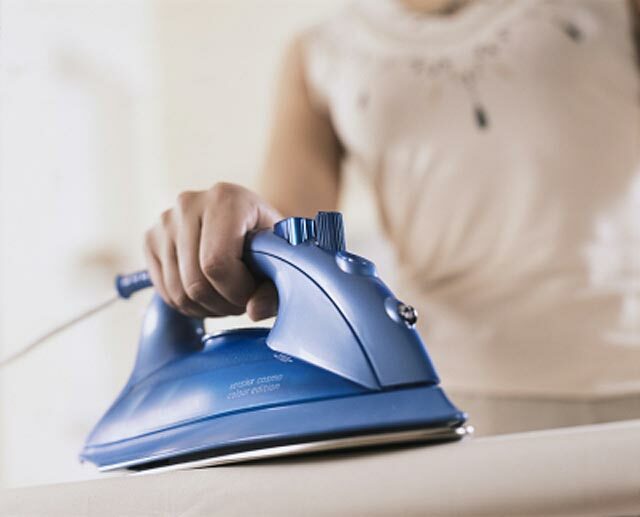 How to properly iron clothes, we will tell you in this article. If you are going to iron the thing out of thin fabric, make sure that the surface of the Ironing Board was thick enough. Ironed linen, put it in the stack and do not remove once in the Cabinet – let things cool off. Before Ironing, sprinkle it from the bottle. In order to smoothen thing out of satin, wet cloth soaked in warm water with a linen cloth and iron inside out. It is not necessary to iron silk clothes too often – it hurts her colour and texture. In order to iron knitted, knitted and woolen items, cover them with a damp cloth and place on a soft blanket. Ironed the thing, pressing lightly with an iron. When Ironing synthetic and lace things don't make the iron temperature too high. If you Pat the dress and don't want on the front side was visible stitch marks, stitch alternately the different parts of the dress – the seams, then hem, and tuck the remaining fabric. Start to iron the dress inside out and then flip it and iron again. If the Laundry is turning yellow due to too high temperature of the iron, wipe the stain with a cloth dipped in cold water, then iron with a warm iron. If you have things from delicate fabrics that do not iron, hang them on hangers in the shower to eliminate all folds. Do not squeeze things until they are completely dry in a hanging condition. In the process of Ironing any thing start with stroking the seam on the reverse side, and then Ratatouille collar and cuffs reverse side. After that, go to the front side of things and zautyuzhte sleeves. After the sleeves iron the back, the front shoulder seams and Darts. Pay special attention to the Darts – they should be ironed flat and neat, so when Ironing is not formed folds. All existing things decorative pleats, ruching, ruffles and lace items needs to be ironed equally together with the tissue to which they are sewn. The ruffles and pintucks are placed when Ironing on the edge, and then couturiaux.